For function and fashion in the kitchen, the MR Direct 3221L-16, stainless steel sink ensemble is a premier choice. This grouping spotlights MR Direct's superior 304-grade, 16-gauge, stainless steel sink. Two differently-sized bowls, the large one deeper than the small one, offer readiness for any chore. The D-shape of the larger bowl, and the forward alignment of both, allows adequate space for a faucet to be installed in the back where the bowls meet. Dense, sound-dampening pads and an insulation coating are applied to the underside. 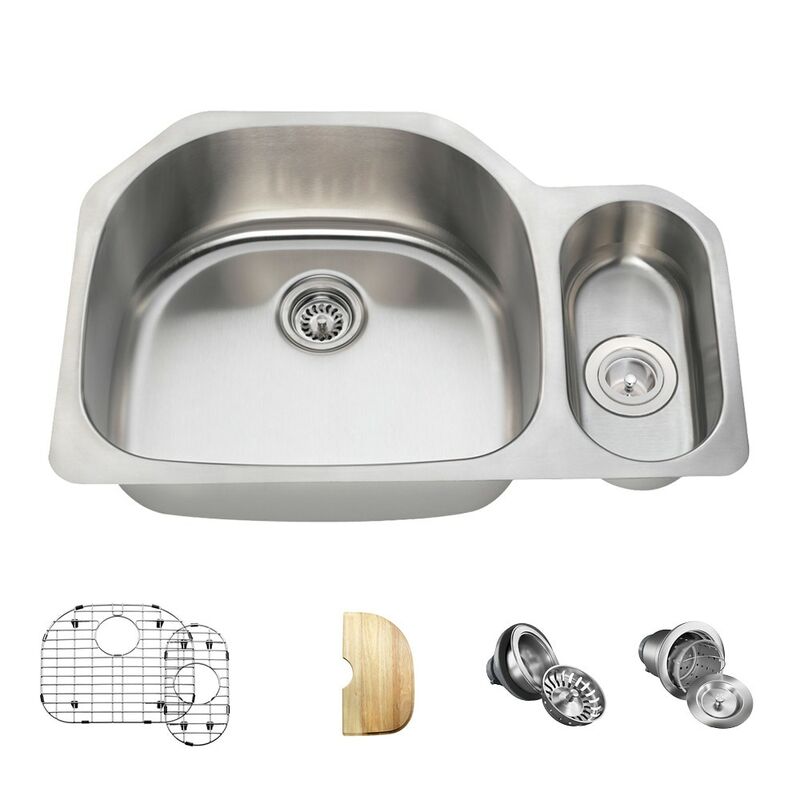 Several convenient accessories are included in this ensemble: a beautiful, natural-wood cutting board, custom-built to fit over half of the larger bowl; two custom-designed grids tailored to keep items off of the basin bottoms; and both a standard and basket strainer to catch scrap materials.